Looking for fun events and activities in and around Dove Mountain? Check out these jazz bars and restaurants that regularly feature jazz bands in Tucson. This restaurant features a variety of jazz musicians every Saturday night from 7:00 pm – 10:00 pm. They serve traditional American food as well as a nice collection of wine, beer, and cocktails. The building is perhaps one of the most unique features of this establishment, with portions of the main dining room and private dining rooms dating back to the 1860’s when Arizona was still a Territory. Cushing Street Bar & Restaurant opened in October 1972 and is still operated by the original family owners. The beautiful Steinway piano is a centennial piano, made in 1876. All in all it makes a great place to gather for food, cocktails, conversation, and of course, jazz. This restaurant features live jazz every Saturday on the patio from 6:00 pm – 9:00 pm. They serve fresh, authentic Italian food as well as a great selection of white and red wine, with a selection of high-end bottles available in the private cellar. The foothills location has been open since 2013, while the original Oro Valley location opened back in 2000. 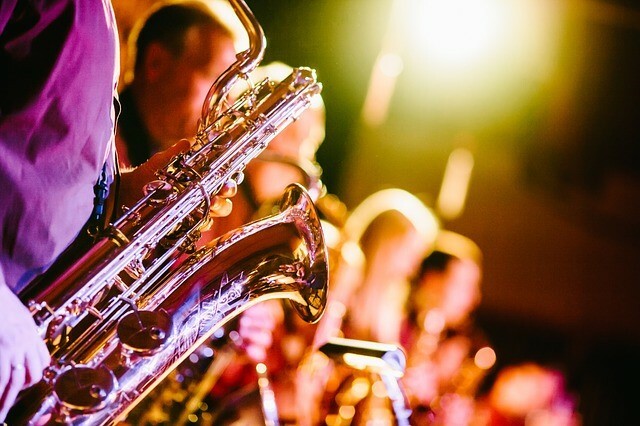 Reservations are encouraged on jazz nights to ensure the perfect spot for you. This restaurant features live jazz every Saturday from 6:00 pm – 9:00 pm on the patio. They serve authentic Neapolitan pizza made with the freshest pizza dough, sauce and mozzarella, all of which are made fresh every day. They also serve fresh pastas, panini and salads, with a variety of Vegetarian and Gluten-Free dishes available. For more information on event details including upcoming jazz artists at these restaurants, we encourage you to call, visit their websites, or visit their Facebook pages.